Sadio Mane's (£9.6m) dismissal in the 5-0 defeat by Manchester City is set to drive 1.5 million Fantasy owners into the transfer market. The Liverpool winger has already suffered 270,000 sales since Saturday, almost 130,000 more than any other player. Tottenham Hotspur's Christian Eriksen (£9.7m) and Mane's team-mate Mohamed Salah (£9.1m) are the most popular swaps. 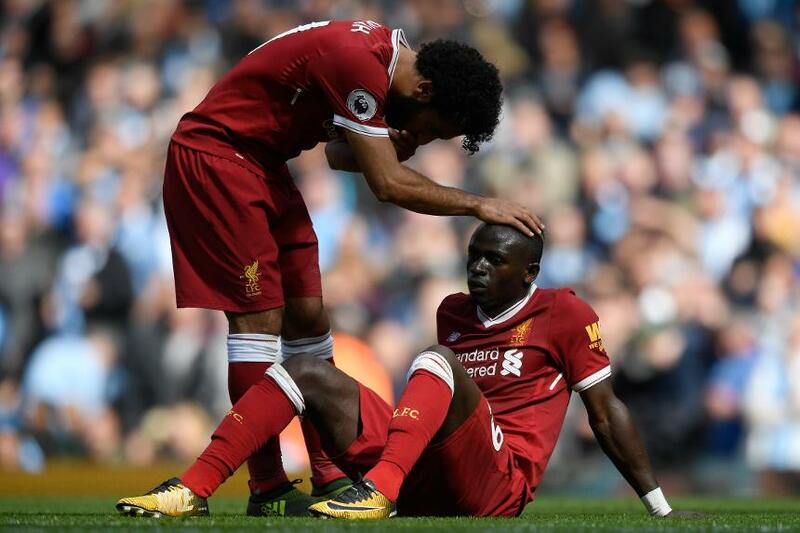 Mane will miss two Gameweeks, sitting out Premier League fixtures with Burnley (H) and Leicester City (A). While a big loss for Jurgen Klopp, the Liverpool manager was without Mane from Gameweek 31 last season after a knee injury. Liverpool won five, drew two and lost one of the remaining matches. Their goals per match fell from 2.1 to 1.8 without Mane, though they created big chances at a similar rate. Eric Maxim Choupo-Moting's (£5.5m) brace and 15-point haul have also had a major influence on the FPL market. More than 61,000 have snapped up the Stoke City midfielder since Saturday's match with Manchester United. The Cameroonian scored three goals in 24 Bundesliga appearances for Schalke last season, averaging a shot every 35.1 minutes. He has scored two in four outings for Stoke, firing an attempt every 24.0 minutes, either as a central striker or, as on Saturday, from the left. Watford's Abdoulaye Doucoure (£5.1m; 11 points) and Brighton & Albion's Pascal Gross (£5.4m; 18 points) were the other cut-price midfielders to flourish in Gameweek 4. Both have attracted big investment, with Doucoure brought in by 75,000+, second only to Eriksen among FPL midfielders. Watford's attack has already made big strides under head coach Marco Silva. They are averaging 1.8 goals per match and have created a big chance every 64.2 minutes, up from 1.1 goals a game and 82.1 minutes per big chance in 2016/17. Ahmed Hegazi (£4.9m) has been the most transferred-in FPL player this season; more than a million managers have brought him in. But his withdrawal on 57 minutes in West Bromwich Albion's defeat by Brighton could be the sign of things to come. Jonny Evans (£4.9m) returned to the West Brom teamsheet on Saturday, while new signing Kieran Gibbs (£5.0m) replaced Hegazi from the bench. With Gareth McAuley (£4.9m) also nearing fitness, the Egyptian faces a battle to retain his start. That will put more than 1.4 million FPL managers on alert ahead of the Gameweek 5 meeting with West Ham United at The Hawthorns.